I’m reading The Best Yes by Lysa TerKeurst right now. Kevin found it at Lifeway and surprised me with it for Christmas. Last year my husband and I traveled to Vermont where I woke up one morning to stare at what an overnight snow storm brought us. I had never seen such snow in all my live long day. But what really caught my attention were gigantic icicles hanging from the roof line. They were perfect. As I stared out at them, suddenly a memory flashed across the screen of my mind. It was about my Dad. My biological Dad. The one who abandoned me a long time ago and who knows nothing about my life now. I don’t have very many memories of him, and the ones I do have aren’t that great. If I let my mind dwell on the gaping hole he left in my heart, I get sad even to this day. God has been so good to help me see that I am not the child of a broken parent any longer- that I am a child of God. I am loved. I am treasured. I am wanted. But sometimes, this nagging thought sneaks into the crevices of my heart and I start wondering, why didn’t my Daddy love me? That’s why this icicle memory brought such joy to my heart. It is a good memory of my Dad. It rushed into my mind that morning in a way that brought a fresh, gleaming perspective. I grew up in Florida which meant no snow- ever. But I remember praying for snow. Praying like a revival preacher at a tent meeting I tell ya. If ever there could be snow in Florida, surely a passionate little girl’s prayers could open up those heavenly snowflake storehouses. One night, the temperatures dropped surprisingly low, and the weather man called for a freeze. This was a rare thing in our area. How tragic there was no precipitation on this particular cold night. It was the one night that snow might have been possible. It broke my little snow bunny heart. But the next morning I awoke to icicles everywhere. 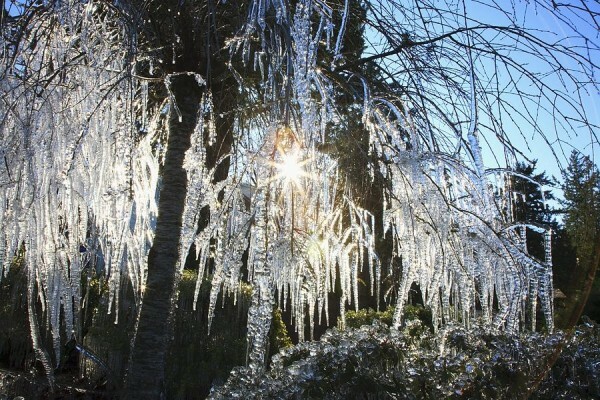 Gleaming, dripping, hanging, light reflecting, glorious icicles were all over the trees in our back yard. It was magical. We were the only house on the block with this grand winter display because I was the only girl whose Daddy thought to put out sprinklers on the one night it froze. I don’t know where this memory has been hiding for too many years, but what a gift. Somewhere in the deep, mysterious, broken places of my Dad’s heart, there was an inkling of love. I pray wherever he is today, he too remembers the night of the icicle wonderland. For it is a common thread of hope that ties too very distant hearts together…and that makes me smile. I started a Bible study today on BREAHE by Priscilla Shirer. Sounds like a good companion book! Not too long ago, a wise friend told me that my “no” enabled another’s “yes”. So I said “no” to all the things that didn’t bring me joy. Now, I’m waiting for my “yes”…. I was just listening to lysa on my Christian station about this very book last night. Only to wake this morning to see your post on the same book. How awesome and I’m so looking forward to reading it. I love the quotes and would love to be able to read the entire book. I have to tell you that every time your blog shows up in my inbox, I open it holding my breath, hoping that there will be more news about Sweet P. I am praying for you, Kevin, and Sweet P. God Bless!! I’m busy setting up a small art and craft business from home as we speak. And oh boy do I need inspration to stay focused. I could do with this bundle of inspiration! What a beautiful book and the quotes are very inspirational. The icicle story of Lysa’s is incredible. Thank you for sharing all of this with us. Wow! Talk about redemption! Wow! I love Lysa TerKeurst. I have a couple of her books, sadly I have yet to read them, but I will put them at the top of my stack. I always enjoy hearing her snippets on KLove. They usually make a big impact to me when I need it (as do you). I have said this before, but thank you for sharing your life with the blog world. Icicles in Florida! What a Miracle!They are so beautiful! Hope to see some in New England this winter. We have had only sprinkles of snow here so far!! Wow, that icicle story really hit me! I, too, was abandoned by my biological day. I dont have many memories, either, and the ones I have aren’t great. That’s just another reason I’m anxious to read this book! 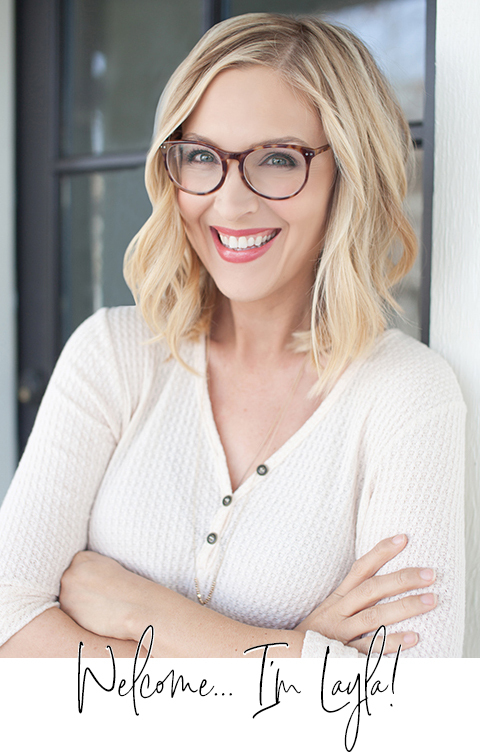 Layla….the book sounds like a wonderfully inspirational read! What a wonderful opportunity for whoever wins to pay it forward by buying the book for a friend! I loved your friends story, how bittersweet!!! The book is just what a girl like me needs right now:) Thanks for sharing!!! Sounds like a book I could really use right now. I’ve got lots of decisions to make! What a fabulous outlook to have. I need to read this book. I had not heard of it before reading about it here. 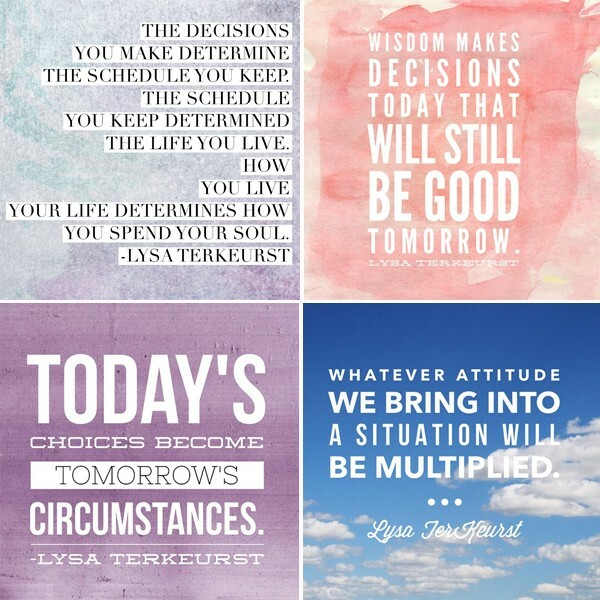 Layla thank you for such an inspirational and beautiful post. 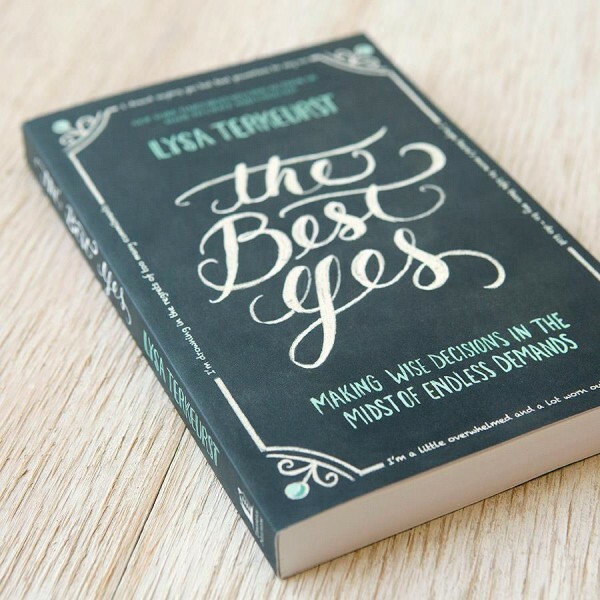 I have seen Lysa’s book, The Best Yes, advertised and plan to read it very soon. This book looks wonderful. What a blessing to whoever wins it. I bet the person who wins it —– really needs the guidance!!! !